RICHARDSON, TX - December 22, 2008 - Reaffirming its commitment to the advancement of world class treemapping applications, The Hive Group today announces version 2.0 of the Application Programming Interface (API) for its innovative Honeycomb software suite. Honeycomb API 2.0 empowers commercial and public sector organizations who demand a more sophisticated level of control. The full potential of Honeycomb’s source code has been unleashed to support the development of custom treemap applications, deep product integrations, and brand new visualization technologies. Honeycomb API 2.0 answers the call from software developers that require complete ACCESS to build or integrate with custom or 3rd party controls; FLEXIBILITY to develop treemaps for any platform, including desktop, web, mobile, or hybrid applications; and CONTROL to develop revolutionary new applications with functionality unimagined today. “By providing direct access to the power of The Hive Group’s core treemapping engine, and by building on the extensible Honeycomb architecture, we are realizing our vision for deeply embedded and actionable treemap deployments,” said Jim Bartoo, Chief Executive Officer of The Hive Group. The proprietary Honeycomb API code libraries provide function-level access that allows maximal throughput and extracts higher performance from system resources. The extendable and easy-to-use programming interface provides developers the means to preserve treemap generator instances in memory — maximizing system productivity and maintaining effective use of valuable server resources. This design results in an integrated system that is powerful, flexible and remarkably efficient. The Hive Group develops enterprise treemap software used by major corporations and government agencies. These organizations embed the software into their business processes to visualize performance metrics, identify critical issues, perform follow-on analysis, and take action. The company’s software helps users navigate their daily responsibilities — focusing their attention and improving decision-making — so they can better serve their customers and improve performance. The company is privately held with headquarters in Richardson, Texas. For more information, contact 630-541-3741, info@hivegroup.com, and www.hivegroup.com. 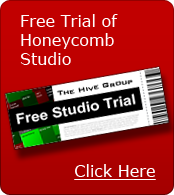 Honeycomb is a registered trademark of The Hive Group, Inc.